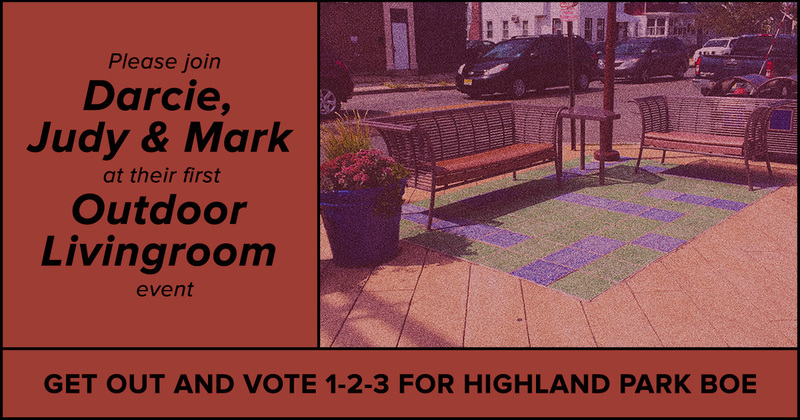 Please join us on Friday, September 30 from 5:30 - 7:30 at the Outdoor Livingroom on the corner of 4th and Raritan. You can read more about the event on our Facebook page. While you're there make sure to let us know that you'll be joining us and share the event with your friends! We love Highland Park and the sense of community it provides, and look forward to meeting our friends and neighbors for some inspiring conversations. We hope to see you on the Avenue!